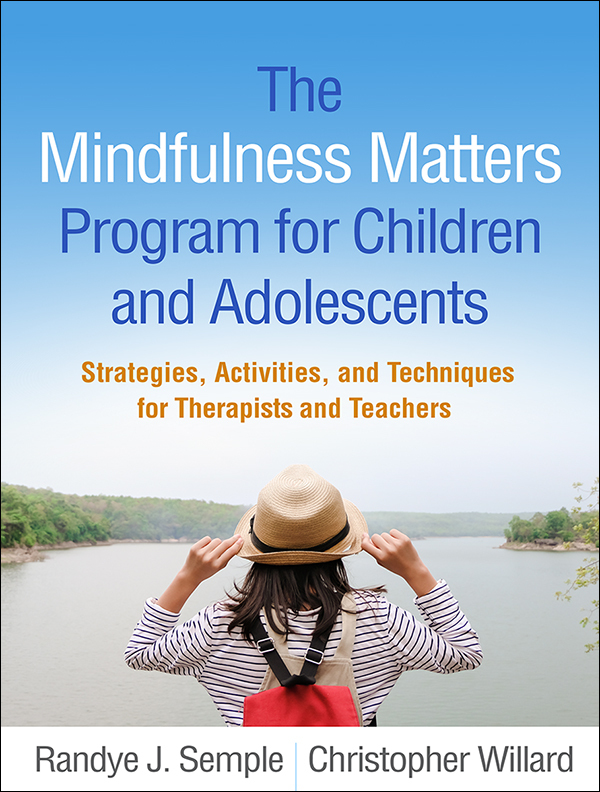 This indispensable resource provides a flexible framework and a wealth of engaging tools for teaching mindfulness to children and adolescents with varying needs in school or clinical settings. Numerous kid-friendly mindfulness practices are presented, complete with step-by-step instructions, sample scripts, suggested variations, and discussion questions. The benefits of mindfulness for enhancing children's social–emotional competencies are clearly explained. Clinicians and teachers are guided to select and sequence activities for groups struggling with specific challenges: stress and anxiety, depression, attention problems, behavioral and emotion regulation issues, and trauma. In a convenient large-size format, the book includes 16 reproducible handouts. Purchasers get access to a Web page where they can download and print the reproducible materials.